The Creative Spotlight is Back! Happy Tuesday! I wanted to drop in and announce an updated version of a post that I will be presenting, which will now be bi-monthly. These posts will showcase you guys; my creative reader friends and other bloggers. It’s called the Creative Spotlight. The Creative Spotlight is a forum that allows me to introduce some of my creative reader and blogger friends to one another in a more personal setting/post. The features will be those individuals who are just like you and me, but choose to showcase their hobbies and talents to create beautiful things through DIY, decorating, sewing, crafting, etc. If you or someone you would like to be featured, please email me! I am so excited and I hope that you all will read along each month! 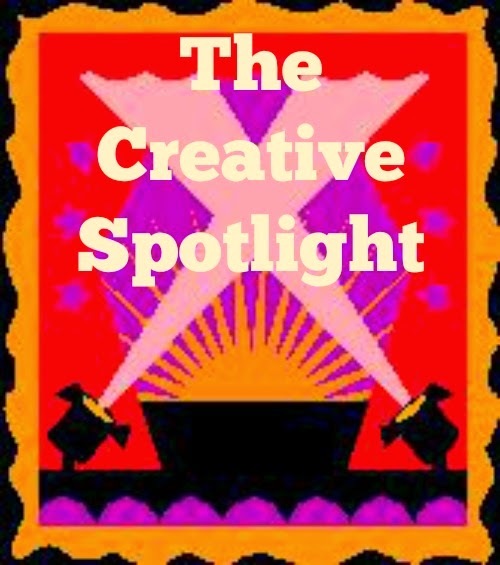 Look for the new Creative Spotlight posts the last week of every other month, with the first one taking place next week!!! To read past Creative Spotlight posts, click here and here. Looking forward to it. I sent over two pictures for the post, let me know if you need one of me by myself. I only try a DIY project every blue moon or so since I'm not all that creative, but that is a brilliant idea. I look forward to seeing my blogging friends in the spotlight, though. That should be fun. Great Idea Erin, great way to meet new blogs who have great DIY blog or websites!